Metallics shimmer in the light beaming through the storefront window. The hung artwork glows underneath its spotlights. The jewel and gem masterpieces are nestled away in cases to be viewed, and the open space asks to be roamed like a museum. Elegance is about simplicity and grace. To be artfully elegant one is clever in the pursuit of this elegance. 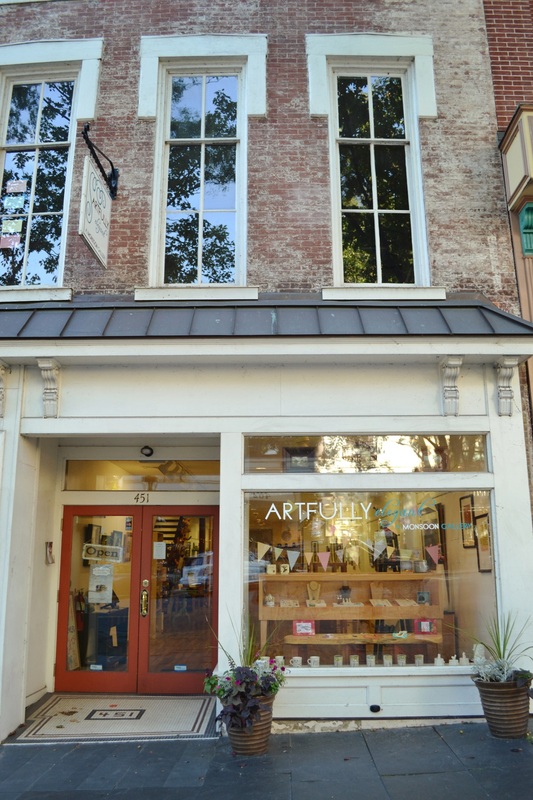 That is the case at Artfully Elegant – an art gallery and jewelry store nestled into the row of shops on north Bethlehem’s Main Street. Their brick and mortar shop serves its name well as their design and presentation of products is sophisticated, yet simplistic. 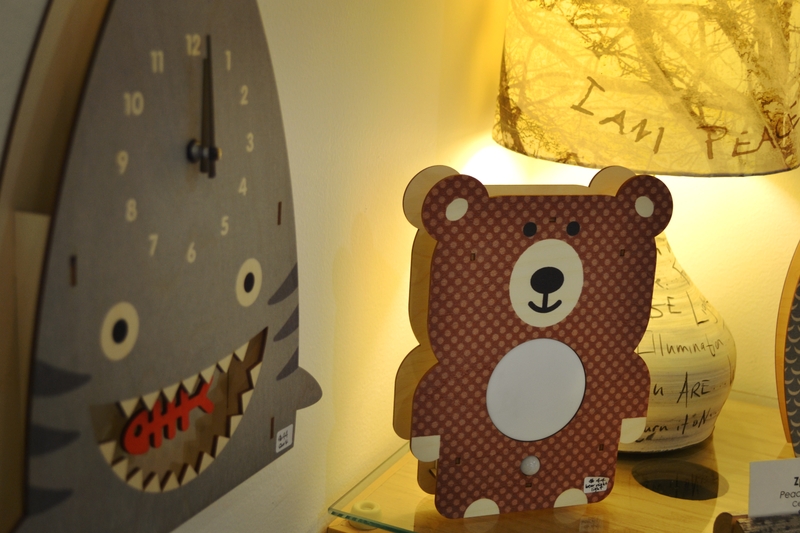 The store carries an array of products from artwork to jewelry and home decor. Originally the Monsoon Gallery, Artfully Elegant opened in its current location in 2010. You may recall a few of their witty dry erase board signs while passing along Main Street, such as the one below a few years back during Musikfest. You may be thinking, Main Street houses a few boutiques carrying jewelry and home decor – what sets Artfully Elegant apart from the competition? We’re glad you asked! Artfully Elegant’s pieces are selected directly by their staff and all are handmade unique pieces. 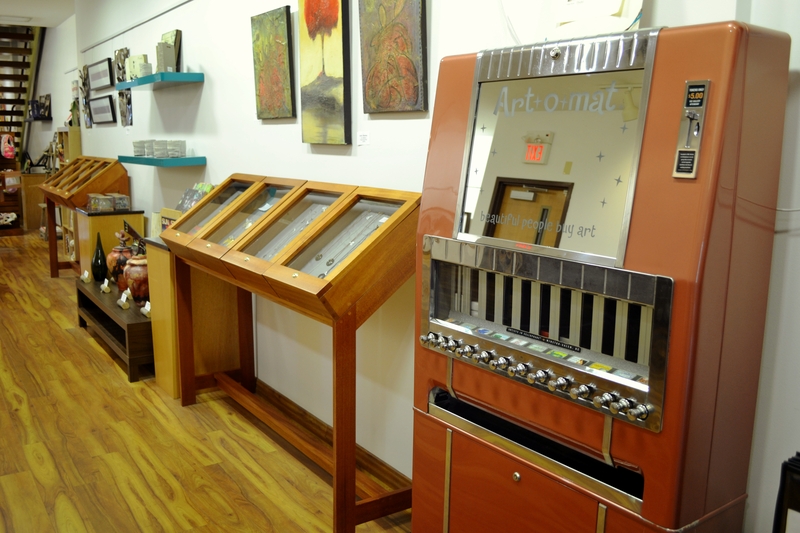 Further, Artfully Elegant is the only shop locally to have an Art-o-mat! There are only five Art-o-mats in Pennsylvania – one of these five is in Artfully Elegant! 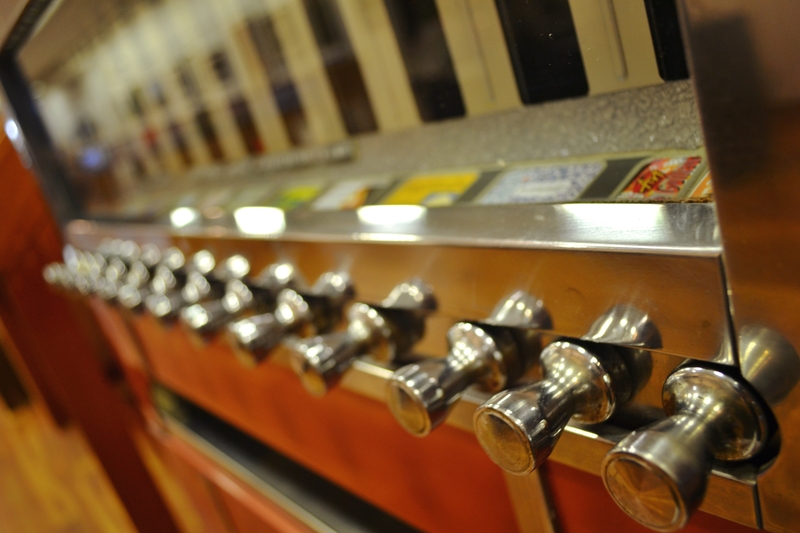 Every machine is one of a kind so if you are interested in seeing more machines, check the Art-o-mat portfolio here! Every Todd Reed ring is one of a kind because he prides himself on raw diamonds – a diamond in its natural form: unpolished and uncut. These precious clocks are laser cut from baltic birch plywood which is a very strong wood that yields clean joints. They are a hot item for baby showers as they are both adorable and affordable! If you are on Pinterest, you know how popular these products are! Make a statement with a statement – find the words that best describe you and display them! 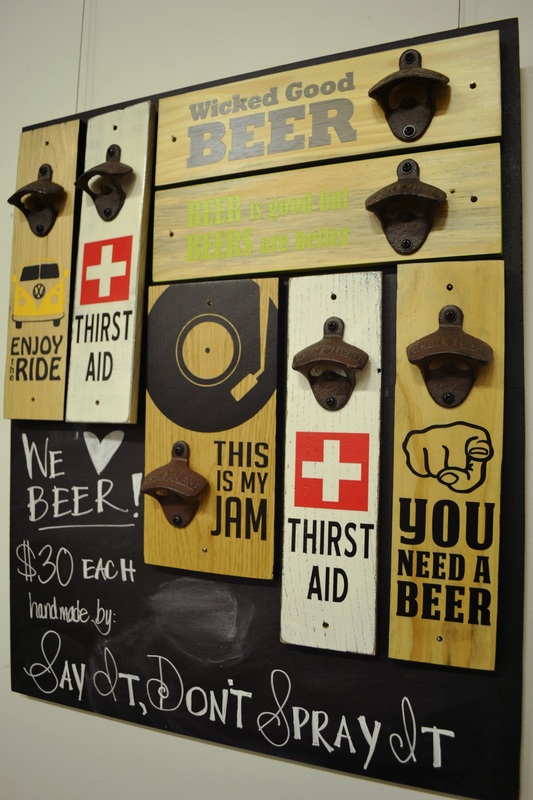 Also, the wall-mount bottle openers are pretty witty! Some of the products Artfully Elegant carries are more impulse-buy items such as coffee mugs. The shop carries Ore Originals mugs with some great designs! Another is a more whimsical piece – a fortune cookie necklace by Christina Kober complete with a dangling fortune! Lastly, a more interesting piece creating a stir is Chewbeads – a line of jewelry that is 100% silicone for babies to teeth on and fashionable for mommies (or non-mommies) to wear! So if you are moseying through north side, pop into Artfully Elegant! Browse their beautiful gallery of products and bring home a souvenir from the Art-o-mat! If you are not a townie, hop onto their online shop that was recently revamped in April!